If you've enjoyed our MLB DraftKings Cheat Sheet, then you'll love the forthcoming NFL DraftKings Cheat Sheet. Even if you haven't checked out the MLB version, trust me, you'll love the NFL one. It will be brought to you by successful DFS gamers/writers who are actually out there using the advice within the cheat sheet to make money! Why would you ever take advice from writers who aren't actually out there putting their money where their mouth is? The DraftKings NFL Cheat Sheet are tailor made for the pricing and scoring format found at the DFS juggernaut. The information found within the interactive DraftKings Cheat Sheet will include the advanced stats you need to help increase your ROI and crush the competition. These are the most advanced cheat sheet in the industry. It starts with all the players touted within the cheat sheet highlighted on one page, but if you're looking to analyze by position, that's simple enough too with tabs breaking players down by their respective position. On each of these pages, you'll see an intuitive yet simple breakdown of key information such as opponent, salary, Vegas over/under total and spread. We also include a scoring projection, the tier each player belongs to and the game they are best suited for. And that's not all! There are quick tip icons so readers can immediately identify key factors that make each touted player stand out. The quick tips include weak passing or rushing defense, favorable spread, high over/under total, injury replacement, value, and if a player is an injury risk, there is an icon alerting you of that as well so that you can set up for a contingency plan in the event injury news doesn't improve by the weekend. The icons are easy to recognize, and the quick tip key will inform you of what each icon stands for. 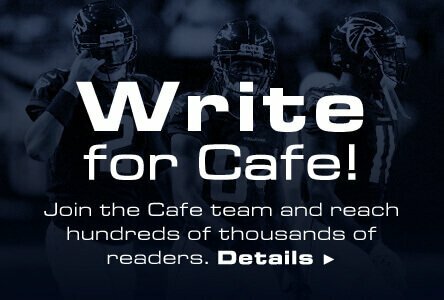 And, of course, there is the easy to digest and thoughtful analysis you've come to expect from Daily Fantasy Cafe experts. There's no fancy jargon intended for talking above the audience, just the top analysis with well researched reasoning why these experts will be using the players they're touting for you to be using, too! As mentioned previously, these are the most advanced cheat Sheet and highly interactive. Beyond the tabs for all players and their respective positions, you'll find a tab for tiers. On this page, you can see the players broken down by Tier 1, Tier 2 and Tier and what position they play. The tiers page is an easy way to identify which positions are strongest and which are weakest on a given week. You'll also be able to see each player's salary so that you can easily figure out how substantial their hit will be to your salary cap total. Stats were promised, and stats are delivered within the DraftKings Cheat Sheet. On the defensive stats page, you'll find per game totals for yards, turnovers, touchdowns, as well as oddsmaker info such as the over/under total and spread. You'll also find columns for salary, and most importantly, projections and a Cafe Value. The Cafe Value can only be found at Daily Fantasy Cafe, and it is a number that accounts for salary and projected score, allowing gamers to see who the best values are. All of the columns are sortable so that you can easily see who the top projected scorers are, which games have the highest over/under totals and more. Trying to figure out which player you can afford within the roster you're constructing? That's easy enough, sort by salary and take a gander at which players are touted within your salary restriction. Looking for a bargain player who should provide you the most bang for your buck? A simple sorting by Cafe Value will allow you to do just that. The DraftKings Cheat Sheet make roster construction easy and allow you, the gamer, to tinker and get the most out of your user experience. Another nifty tab within the DraftKings Cheat Sheet is for top stacks. MLB DFS gamers are more than intimately familiar with how prosperous nailing your stack can be. Hitting on an NFL stack can allow you to hit it big, too, and you'll see which quarterback and pass catcher combos project to be the best on a given week. Some of these stacks will simply be the ones projected to score the most, but other times, they'll be below the radar stacks that project to be low owned and have a reasonable chance of explosion, therefore giving the gamers using that stack an edge over the competition. Remember, game theory comes into play in GPPs, and that fact isn't lost on the authors who will be tasked with putting together the DraftKings Cheat Sheet for your reading pleasure. Save time digging through useless information. The DraftKings Cheat Sheet put all of the need-to-know info at your finger tips and in front of your eyeballs. They're a great companion while you build your rosters, and they include up to date information compiled by DFS gamers who are out to increase ROI for you. Are you looking to turn a handsome profit this NFL season? Of course you are! We're here to help, and the DraftKings Cheat Sheet is your secret weapon to squash the competition. Don't fumble the opportunity to get actionable information that you can use to build better rosters and get the most out of your salary cap. Why wing it? Losing money is no fun. The experts working on the DraftKings Cheat Sheet have already gone through the ups and downs and bumps and bruises that come with turning into a profitable DFS gamer. If you're a new gamer or a savvy pro, there is something within the DraftKings Cheat Sheet for you. There is little that feels better during the NFL season than kicking back, watching your DFS players dominate and watching your winnings increase. Use the NFL DraftKings Cheat Sheet and enjoy that experience with us.